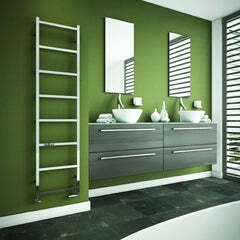 As noted, today, there’s vast array of different heated towel rails to choose from. Indeed, you might even find the ranges on offer a little overwhelming. Fundamentally, however, it should be pointed out that this radiator type effectively divides into three different categories in terms of power source. How so? Well, you have the option of those powered by a standard central heating system, those relying on a home’s electricity supply or even a third-way ‘dual fuel’ version, which combines what the first two can each do. Primarily, of course, which of these you go for when choosing a towel radiator model’ll come down to a bathroom’s existing fixtures and, to some extent, exactly what the device is intended for. 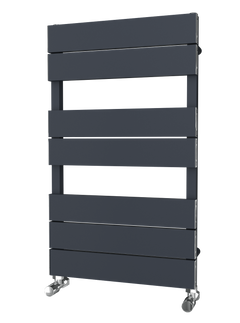 So, as a heating unit offering a three-way choice of power source, the towel radiator’s a flexible piece of engineering; something specifically manufactured to help any homeowner’s bathroom meet the desired requirements of 21st-Century living. Plumbing a towel radiator into your home’s central heating system will ensure it draws its heat, like all the other units in the property, from the water heated via the system’s boiler. So, it’ll function as a ‘normal’ radiator, controlled like the others by the system’s central thermostat or by its own tailored thermostatic radiator valve (TRV). By contrast, if you purchase a model that operates via getting plugged into the wall socket and hooked up to the mains electricity supply which, in turn, powers a heating element in the device, this means it’ll be able to function totally free of the central heating system. The upside here? Why, you can deploy it to dry out towels in the spring and summer when you don’t want the system switched on and wasting energy – or switch on the system but have to turn off every other radiator in every room at their valves so you don’t waste undue energy and money. The final power-source option open to you with towel radiators is so-called ‘dual-fuel’, which equips models to be able operate via a central heating system or via the mains electricity, as and when the homeowner desires. 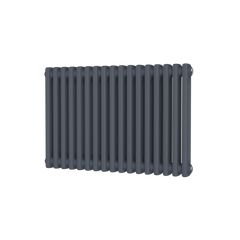 This means it’s enormously flexible; functioning like a standard unit when you want it to and as an electric radiator when you don’t. Again, it’s ideal for use in the warmer months, when its settings can be switched to be powered by the home’s electricity supply, but also in the cooler months when – likely for more hours of the day – it can be switched over to allowing the central heating system to fill it with hot water like all the other conventional radiators in the property. All that said, whichever option you plump for, don’t forget to engage the services of an expert gas engineer to actually install the model of your choice; for the installation of a radiator is no layman’s job – not least when it comes to a rather complicated-to-get-up-and-running dual-fuel model. Now, a towel radiator isn’t just tops for drying out towels but will also operate very nicely as, effectively, a means of storage for them as well. For instance, should your bathroom be a little diminutive, storing bulky towels in this room (supposedly the most ideal) may not be the easiest task – but here’s where a heated towel rail comes in (with its ladder-like design – especially if it’s a space-saving tall radiator); such a heating source then functions too as a practical and very elegant solution for hanging towels in your bathroom. 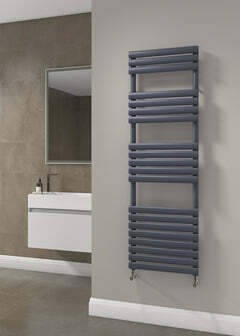 Last but not least, it’s worth noting, of course, that towel radiator models are available in a wide array of shapes and sizes, as well as a large variety of styles; bringing a vast choice of aesthetic appeal to a bathroom’s pre-existing décor. Modern, minimalist-like design or classic-esque sophistication, today’s towel radiators are capable of delivering both and more, with looks to enhance and even, should you fancy it, make for a focal point of this most used and visited of rooms in your home.